Thought I would through up an image of our website that I have been working on for about two months now. I tried to find the cheapest and easiest way to do a website since I am no coder. Ultimately I decided on using iWeb. Web has never been my thing but I thought I would give it a shot. I figured out how to jump through hoops and get what I want in iWeb after a lot of tireless hours and putting off other things to get it done. 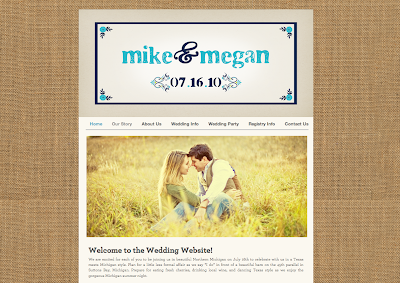 I will post the web address once Mike (fiance) fills in his portion of info that he is responsible for. For now thought I would post the home page. Photo on website is courtesy of Cory Weber Photography. I want to see it, tell Mike to hurry up! !